G.I. JOE INITIATE MAKES IT’S DEBUT! Episode one of the highly anticipated fan film, G.I. Joe Initiate, is online! The film is brought to you by Anthony Schiavino, and Frederic Dossm. In the film, G.I. Joe infiltrates a Cobra compound somewhere n Springfield U.S.A.
PS-Look for an appearance in the film by old FBT buddy, Brandon Slagle! Get Ready for the Next Great G.I. 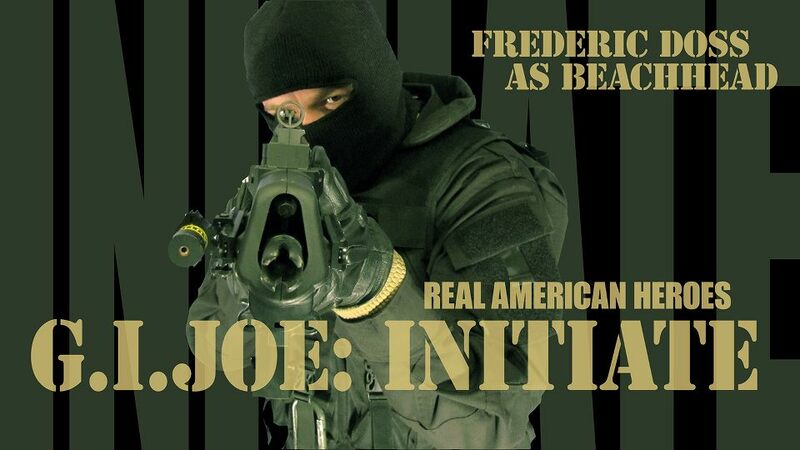 Joe Fan Film, G.I. JOE: INITIATE! Get Ready for the Next Great G.I. Joe Fan Film, G.I. JOE: INITIATE!. Since you’ve been such good Girls and Boys while Fanboy Will was away, I’ve decided to treat you to an extra special treat today…Today’s FFOTD is an action packed, ultra-violent tribute to America’s favorite highly trained special missions force, G.I. JOE! G.I. 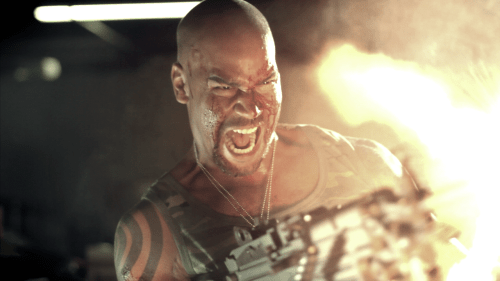 JOE: Operation Red Retrieval is the brainchild of Director Mark Cheng and takes no prisoners when it comes to the gritty Military realism, and the true ugliness of warfare. Yep, This ain’t the Joe you watched as a kid, but it does feature many of the characters from the show, and, SURPRISE SURPRISE they are actually dressed like their animated counterparts 🙂 If only Hollywood could take a hint from Mr. Cheng and crew…Oh well…Great job Mark! I truly feel your love, and passion for G.I. JOE all throughout this film. From one Joe fan to another, Thank you Sir 🙂 One final note..This Fan Film is NOT for the little ones, so before viewing throw on Toy Story in the next room or something..Now, sit back and enjoy! PS-The surprise ending is killer! Be sure to stop by the official website for the film for even more Joe goodness…..
YO JOE! I mean YO SCOTT! I’m talking Scott Grass from Forsaken Filmz who has brought us the G.I. Joe fan film “End Of Peace”. G.I. Joe is not a property you normally see in the world of fan films due the extensive cast of characters, intricate costuming, and potential for costly special effects. But if there’s one thing fan film makers can do is stretch the imagination to make the inconceivable conceivable. Scott and his crew have juggled what could potentially be a disastrous production into a cool film that holds the heart and integrity to what the die hard G.I. Joe fans would expect from such a project. As all members of the fan film making community can imagine it’s not always easy making a final production, to actually get it out there for all to see. Scott talks candidly about the trials and disappointments in took to get “End of Peace” to eventually see the light of day. And Forsaken Filmz is not a one trick pony. Oh no! As the normal genesis of the people that make these fan films they progress into their own original projects in this case Forsaken’s “Thou Shall Kill”. So DUSTY yourself off. Get ready to get all GUNG HO! Grab yourself some BARBEQUE and some BAZOOKA bubble gum. Turn off the LAW and ORDER. Move into a room with LOW LIGHT. Get all FOOTLOOSE. Prepare to ROCK ‘N ROLL ! And join us for some CHUCKLES only on the Fan Film Podcast.